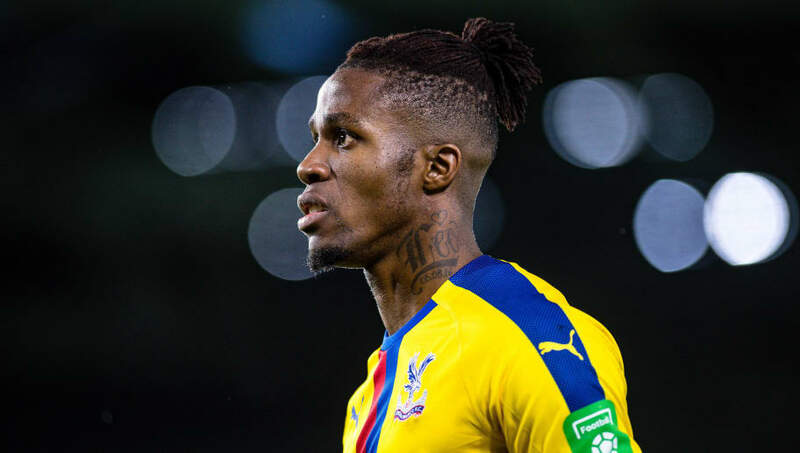 Claude Puel and Leicester will be handed a boost when they travel to Selhurst Park on Saturday as suspensions to key Palace players Wilfried Zaha and James Tomkins have ruled them out of the Premier League clash. Both players received their fifth yellow cards of the season during their 3-2 defeat to West Ham at the weekend, meaning an automatic one game suspension. Fortunately for Leicester, the ban means they won't have to worry about Palace's mercurial Ivorian forward when they meet this weekend. ​Zaha in particular will be a huge miss for the home side as the south London club have struggled for goals and points when the ex-​Man Utd man has been missing. Tomkins will also be missed as he has formed a stable partnership with Mamadou Sakho this season in the heart of the Palace defence that will now have to be disrupted. After Hodgson oversaw his side lose 3-2 to ​West Ham at the London Stadium, he spoke to the media (via ​Leicester Mercury) admitting that Tomkins received a yellow card after the final whistle had blown - for complaining about a free kick that was awarded in the build-up to West Ham's second goal. “Certainly one of the goals can be contested for the free kick. “Tomkins is still so upset by it that after the game he couldn’t resist the temptation to tell the referee again that he had made the wrong decision, he got himself booked and is out of the next game so that was a double whammy, a real double whammy.” he added. The news will come as a big boost Claude Puel and ​Leicester as they aim to bounce back from a 2-0 defeat at home to Tottenham. The Foxes currently sit ninth in the table and just four points off Manchester United in sixth place. The Eagles desperately need a result having won just one of their last 11 fixtures, slipping to 16th place in the table and just two points above the relegation zone. Their task will be made even harder being without two of their first team regulars.